If you’re in the market for a new car or truck, look no further than your local Ford dealership. As one of the oldest and most successful car manufacturers in the world, Ford Motor Company has continued to build upon their past and consistently release exciting and innovative products. Here is an in-depth look at Ford’s 2019 line of automobiles. From cars to trucks and everything in between, Ford truly has a great product suited for everyone. Classic and affordable, the Ford Fiesta is the solid foundation of the Ford 2019 lineup. Starting at the low price of $14,260 and leasing for just $172 per month, the Fiesta is affordable for any buyer. And with a huge range of customization options, it’s easy to make this car your very own. The first crucial decision you have to make when researching your new Fiesta is whether to go with the sedan or hatchback option. The sedan features a longer design and offers 12.8 cu. ft. of capacity and 60/40 split rear seats. The hatch counterpart is slightly shorter but offers a wider rear opening and more overall storage space. With the back seats in the upright position, the hatch model has about 14.9 cu. ft of rear space, but when you lower the back seats, it increases to a whopping 25.4 cu. ft.
Now if bright colors and different trims aren’t necessarily your thing, the Fiesta also has a lot to offer underneath its hood. 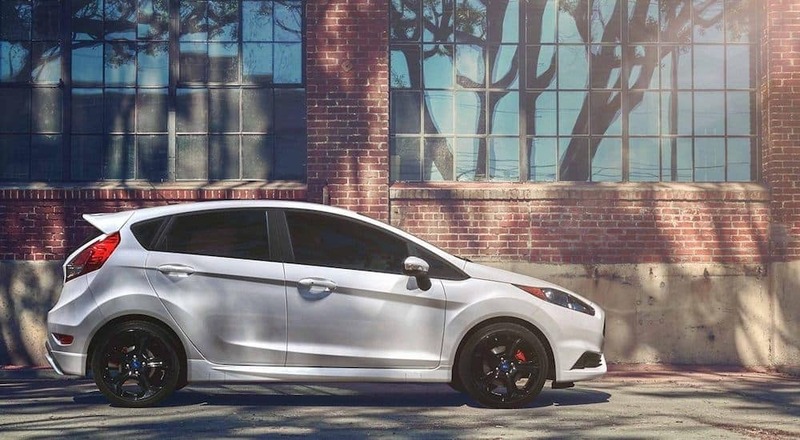 With an available turbocharged 197-hp 1.6L EcoBoost engine and a six-speed manual transmission, the Fiesta is no slouch in the performance department. Now if you’re looking for a Sedan but want something a little more on the luxurious side, Ford has something for you. Starting at $27,800, the 2019 Ford Taurus is a car that is “built for everyday indulgence.” In addition to its sleek and luxurious appearance, the Taurus offers excellent performance and all the bells and whistles to make you feel as comfortable as possible. Having been in the Ford family of vehicles for many years, the 2019 iteration of the Taurus looks practically unrecognizable. Its exterior features sleek aerodynamic lines and minutely crafted details. The Taurus also comes available with dual chrome exhaust tips, which look great and are designed to reduce back pressure and enhance your overall horsepower output. Behind the wheel, the Taurus works hard to make sure you feel comfortable and in control at all times. With heated and cooled front seats, heated outboard rear seats and a heated steering wheel, you constantly have options to adjust your temperature levels and make your ride as comfy as you like it. The Taurus also uses technology to keep you safe and provide one of Ford’s most advanced riding experiences to date. Between its active park assist, adaptive cruise control, lane-keeping system and forward collision warnings, the Taurus is constantly paying attention to the road around you and taking measures to keep you as safe as possible. The Ford Edge is touted as the very first SUV designed by the Ford performance team. So, while this crossover may be a little on the big side, the Edge offers an available 2.7L V6 turbocharged EcoBoost engine. Once you hit the road, this engine is capable of outputting 335 horsepower and 380lb-ft of torque. The Ford team has also taken measures to make the overall driving experience as fun and engaging as possible. The Edge’s eight-speed automatic transmission with active warm-up allows you to enjoy the thrills of driving a manual transmission without the knowledge of how to work a clutch. Through their implementation of steering wheel-mounted paddles, you can quickly shift from gear to gear without ever taking your hands off the wheel or popping a clutch pedal. Available in two distinct models, the Edge Titanium and Edge ST represent the baseline and performance models, respectively. Choose from an array of ten striking colors and two interior finishes to customize the Edge to your liking and make this incredible vehicle your own. For the SUV owner that wants to pull out all the stops with their new vehicle, the 2019 Ford Expedition may interest you. Starting at $52,130, this massive eight-seater has been named a Kelley Blue Book Best Buy Award Winner and a J.D Power 2018 Highest Ranked Large SUV in Initial Quality. Beyond its sleek exterior, which features a large grille, aluminum-alloy body and sleek wheel designs, where the Expedition truly shines is in the interior. The space inside the expedition is extremely spacious, offering 42 inches of headroom and 64.9 inches of shoulder room in the front row. Your passengers in the back will also enjoy an abundance of space with 40 inches over their heads and 634.8 inches of shoulder room, nearly mirroring the front. Even the third row boasts an impressive 37.3 inches of headroom and features reclining seats. The final detail on this amazing car is the Panoramic Vista Roof. This available feature comprises two panels of sunroof over the first and second rows. If all that headroom isn’t quite enough, open up this massive sunroof over you and your second-row passengers to make the sky the limit. Now even if a car like the Mustang Shelby GT is a little out of your price range, taking a closer look at a car like this is just plain fun. One of the crown jewels of the Ford performance lineup. This vehicle uses a 5.2L Ti-VCT V8 engine to output a massive 526 horsepower, while still maintaining an incredible 35 MPG highway. The TREMEC six-speed manual transmission comes standard on all Shelby model Mustangs. The unique performance-oriented system gives you an unprecedented level of control over your shifting and overall driving. The inside of the vehicle is also full of amenities, making it more comfortable than ever to burn rubber wherever you go. With a rear-view camera, aluminum foot pedals, push-button start, leather-wrapped parking brake handle and more, the Shelby understands that power should never mean sacrificing comfort. Now that we’ve delved into just a few of the amazing options in the Ford 2019 lineup, the only thing left to do is check them out for yourself and see which one is the best fit. 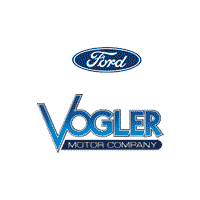 For those in the Carbondale, Illinois area, Vogler Ford is the best option for premier Ford dealerships in the area. Established in 1923, Vogler Ford has been passed down as a family tradition for decades. During this time, each owner of the company has maintained their tradition of honesty, trust, and integrity. These values are still alive and well at the Vogler Ford dealership in Carbondale. With a wide range of new, used and certified pre-owned vehicles, and a dedicated finance center, Vogler Ford has every resource you need to find a great vehicle at an attainable price. Visit the website today to learn more or head down to Vogler Ford Dealership yourself and say hello.